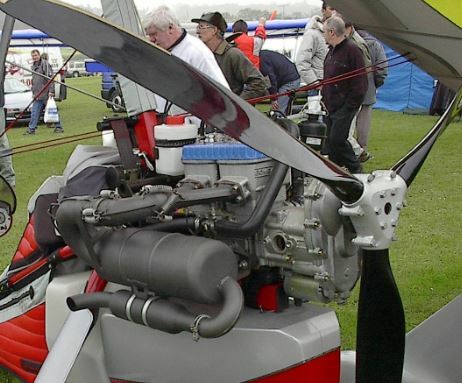 Microlight aircraft have 2 different types of engines: 2 stroke and 4 stroke, the same as motorbikes. 2 stroke engines are smaller, use more fuel, and generally require more maintenance, but are a lot cheaper. 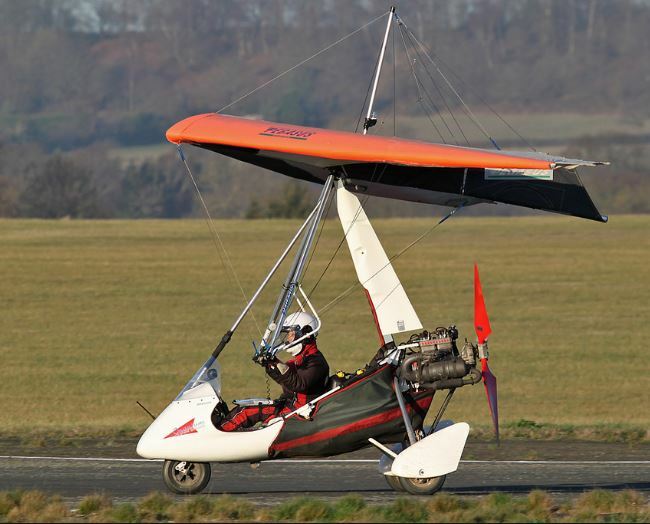 SSDR flexwings use 2 strokes, because they are lighter. 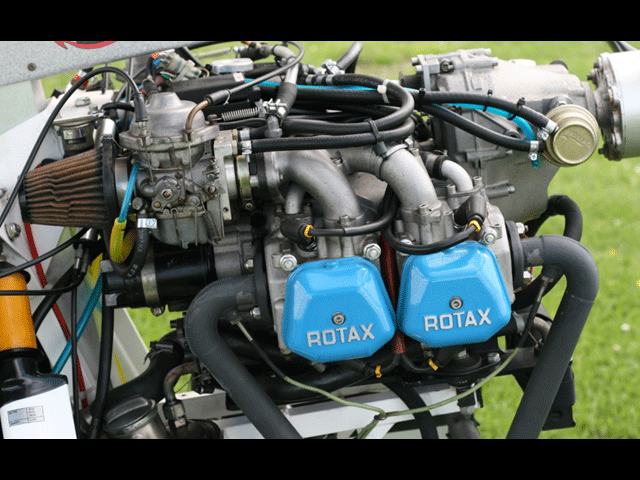 The various 2-stroke rotax engines are the 447 (40 bhp), 503 (47 bhp), 462 (48 bhp), and 582 (65 bhp). The 447 & 503 are air cooled, and the 462 & 582 are water cooled. The air cooled ones are simpler, but less efficient. The 582 comes in a silvertop and bluetop version with the bluetop supposedly being more reliable as a result of updates to the cooling system. The Bluetop has a bigger and stronger crank than the older silvertop. Fuel type: Unleaded: 87 octane AKI (Canada/USA) / 90 octane RON (European) or higher. 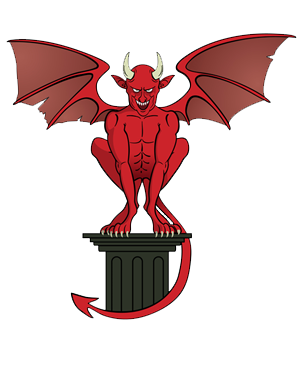 Leaded fuel and AVGAS 100 LL can be used but are not recommended.